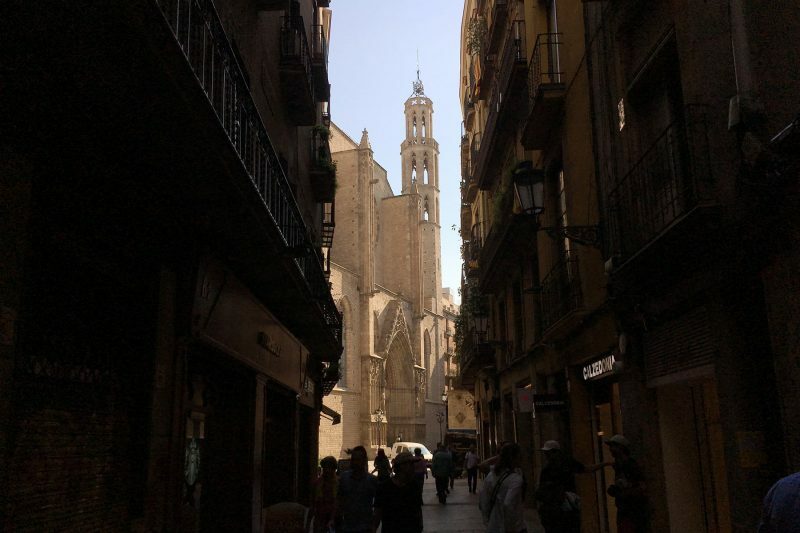 El Born is where Barcelona’s old city intersects with its chic present, its narrow streets and little hidden plazas home to hip cafés, independent designer boutiques, and little art studios. 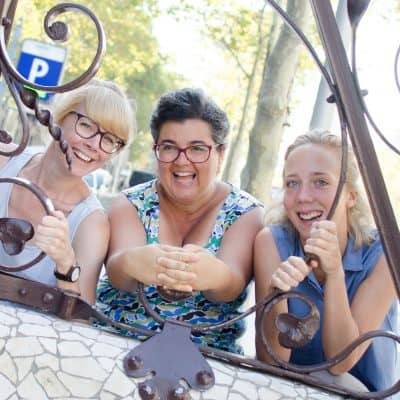 It’s also a great nightlife spot, with plenty of non-touristy bars where you can mingle with locals and with Barcelona’s expat community, for whom the neighborhood is a favorite. The Picasso Museum is home to the world’s largest collection of artworks by the famed painter, some 3,500 in all. 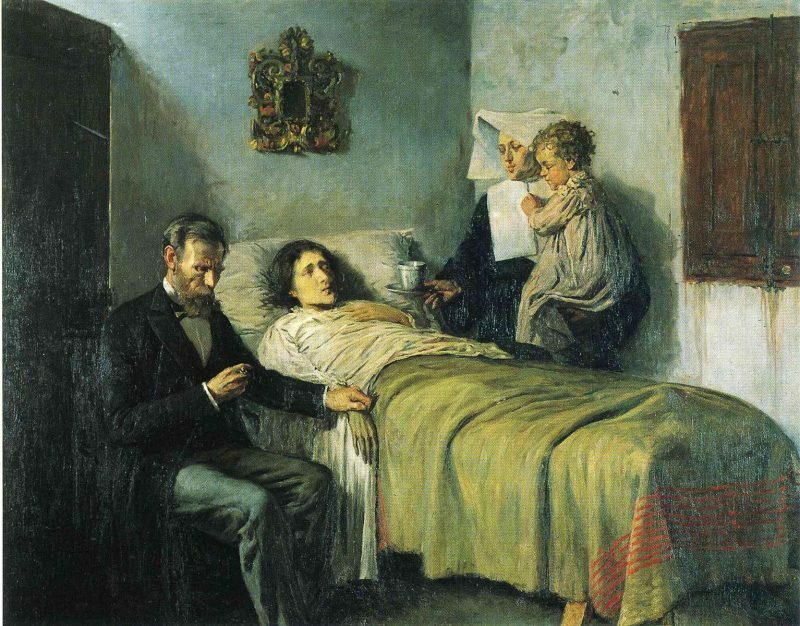 Many of Picasso’s formative years were spent in Barcelona, and the museum’s collection focuses especially on this period, although it also contains pieces from later in the artist’s life as well. The collection occupies 5 medieval mansions on Carrer Montcada, all of which are of architectural and historical interest, making the museum buildings an interesting experience in themselves. You’ll find more information and tickets for the Picasso Museum here. El Born is a neighborhood with an epic and tumultuous past. Catalunya’s current pro-independence movement traces its origin to events that specifically affected the neighborhood in the Spanish Succession War of 1714. 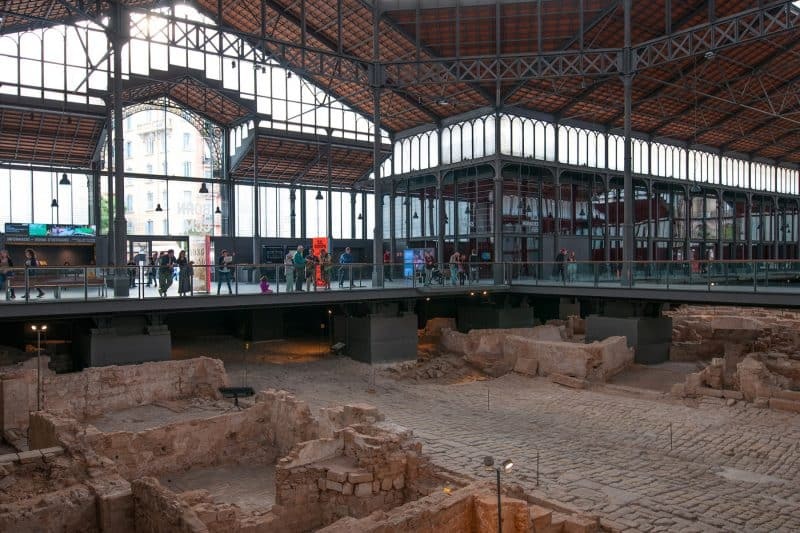 Today, you can discover its history at El Born CCM, an archaeological museum housed in El Born’s old modernist market hall. If you want to understand Catalunya a bit better, you should definitely pay it a visit. Find out everything you need to know about El Born CCM here. 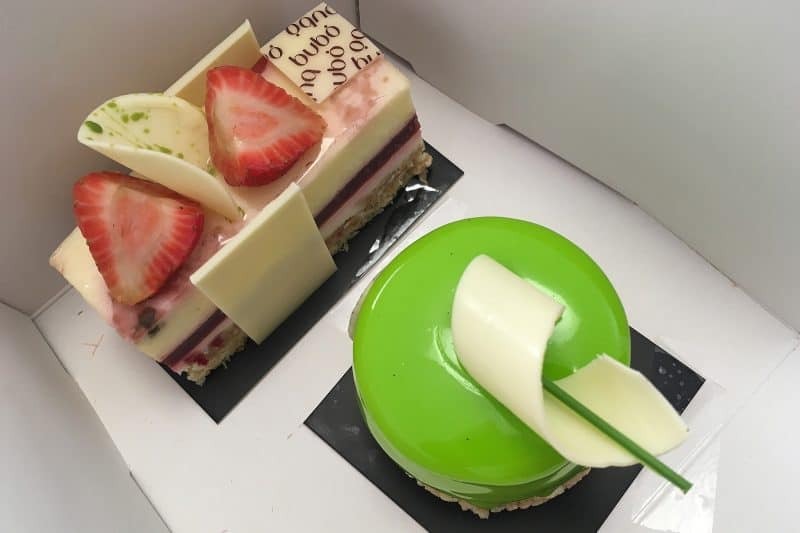 Look through the window of Pastisseria Bubó and the sweet tooth in you will be drawn in by the too-pretty-to-eat cakes, tarts, macarons, pralines, bonbons, and other delectable sweets on offer. Unlike Britain or the US, where deserts are a big deal, Spain is not known for fussing over its sweets. Most restaurants serve just passable deserts, so if you want something a little more interesting and elevated, head here for coffee and to get your sweet fix after having lunch at one of the neighborhood’s many good restaurants. El Born is one the nicest neighborhoods to just wander around. Its streets are lined with chic clothing boutiques, design and decor shops, cute little cafes, hipster-y cocktail bars and many good restaurants. Sometimes it’s nice to just go with the flow and see where you end up instead of following a predetermined itinerary. If you come across a restaurant or a bar terrace where everyone is speaking Catalan you’ll know you’ve found a good place. Just a few steps away from the Picasso Museum, the Palau Dalmases, also known as Espai Barroc, is a 17th century baroque mansion that hosts Flamenco, Opera, and Jazz shows weekly. The mansion’s inner courtyard is something of beauty, with its Solomonic columns lining the stone stairway. La Paradeta is the opposite of a fancy restaurant experience. 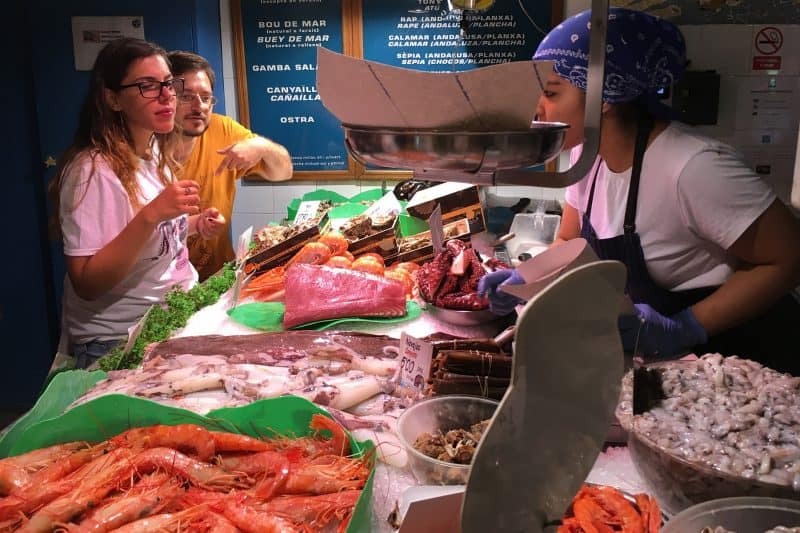 When you walk in, you’ll think you wandered into a market stall; the first thing you see is a big counter with fish, shellfish and other creatures of the sea resting on a bed of ice. Choose what you want to eat, pay for the catch by weight, and then the kitchen will prepare it in the simplest way possible: grilled or fried, with a bit of garlic, parsley, and salt. Simplicity at its finest. 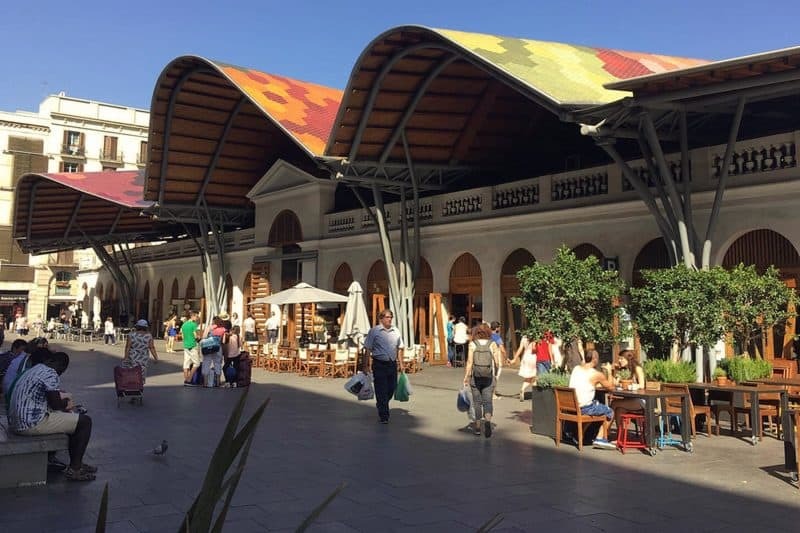 The Santa Caterina food market is the oldest covered market in Barcelona. 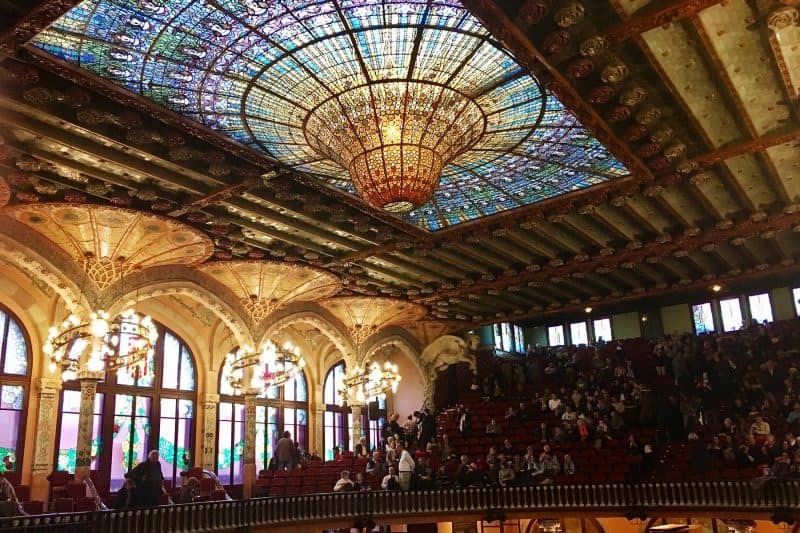 Today, it’s far gone from its appearance of old though, with its avantgarde, undulating, mosaic-tiled roof that pays homage to Gaudí. Inside, you’ll find market stalls selling top quality produce of all sorts, as well a few restaurants and bars. One such place is Cuines Santa Caterina, a quality tapas restaurant with a street terrace on one of the market’s corners – a perfect place to come in the evening for a drink and a bite to eat.